We have a ton of our friends moving homes this year and I always struggle trying to figure out the perfect housewarming gift. Sure I could give them a bowl or flowers or bake some cookies, but was super excited to team up with Scotch-Brite Extreme and Evite to help my friends turn their new house into a home with this cute and practical housewarming gift basket. This DIY Housewarming Gift Basket is guaranteed to get any new space into tip-top shape. 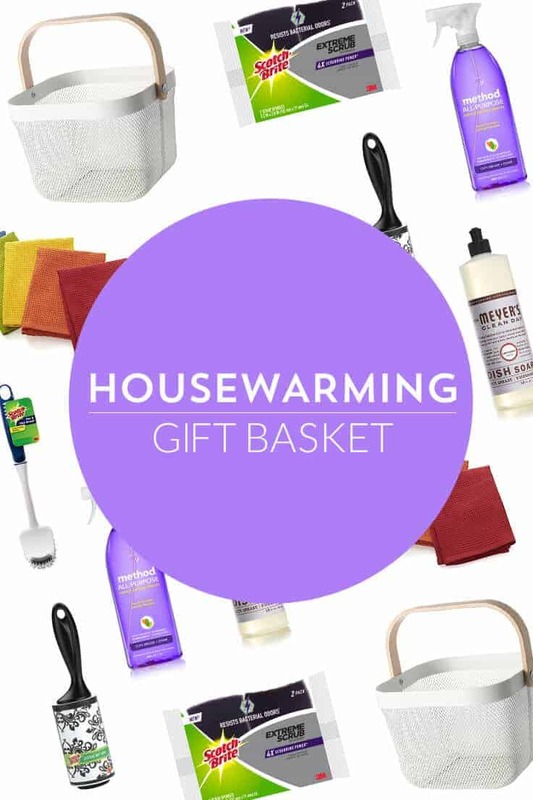 The great thing about this DIY Housewarming Gift Basket is that it includes a ton of things that they will actually need and use right away when they move in! Here is a list of all the items that I put in! Scrub Sponges – Help the housewarmee wave goodbye to grime and say hello to a squeaky clean home, without the smell of a stinky sponge. 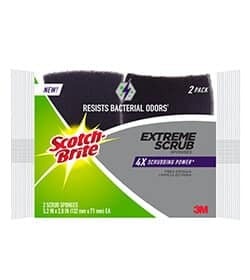 With four times the scrubbing power,Scotch-Brite® Extreme Scrub Sponges will give their place an instant facelift. 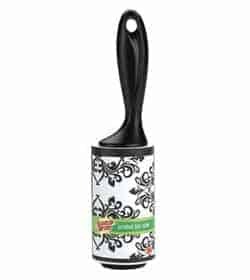 Lint Roller – A lint roller comes in handy for picking up dog hair and flyaway fuzz (plus, it’s great to have one on hand for get-togethers to de-lint party clothes and furniture in a hurry). Pick one in a patterned print so your pal can spruce up in style. 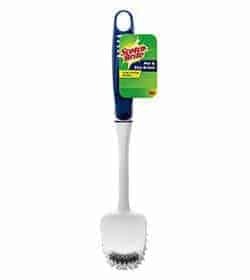 Scrub Brush – A no-scratch scrubber (I like the Scotch-Brite® Pot, Pan and Dish Brush) is just what they’ll need to tackle tough spots on pots and pans. Dishwand – Prevent a dirty dish pile-up with a refillable soap-dispensing dishwand (Scotch-Brite® Stay Clean Dishwand gets the job done). The handle keeps hands off the mess and out of the sink. 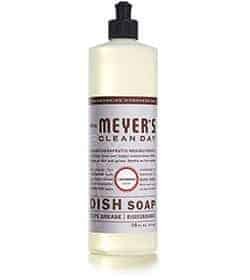 Dish Soap – A good grease-fighting dish soap is essential for everyday cleaning. Pair it with a refillable dishwand for easy dispensing. 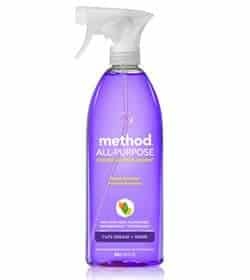 All-Purpose Cleaner – A bottle of all-purpose cleaner will become their go-to for everything from cleaning the counters to getting rid of smudges on the fridge. 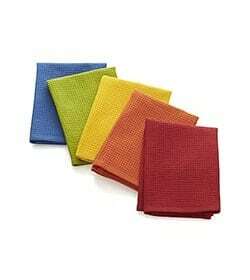 Dishtowels – Throw in a set of mix-and-match dishtowels to add color to the kitchen. 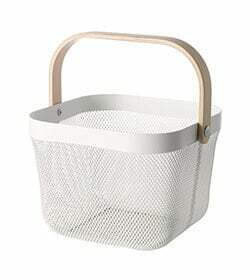 Wire Basket – For the final touch, present the cleaning products in a wire basket with a handle. The best part: It doubles as a cleaning caddy. Start inviting friends to your next get-together with one of Evites housewarming invitations, dinner party invitations or cocktail party invitations. Disclaimer: This post is part of my partnership with Evite and Scotch-Brite Extreme – all opinions on Princess Pinky Girl are always my own!! 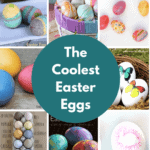 Such a perfectly practical gift! 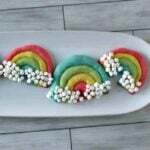 Your neighbors will love you!